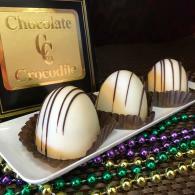 Experience the finest in chocolate truffles at The Chocolate Crocodile®. 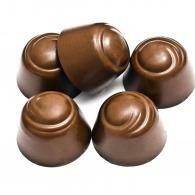 Made with the freshest ingredients, each truffle is handcrafted with a delicate chocolate shell filled with a creamy ganache. They're so good, you'll want to grab a few for yourself and a few to share. 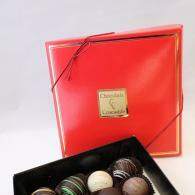 With a variety of flavors available, you can relax knowing that each box has a gourmet chocolate truffle to suit every taste. 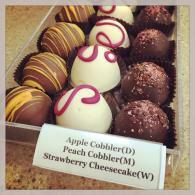 Perfect for any occasion, stop by our three locations to sample some truffles or order your favorites online! 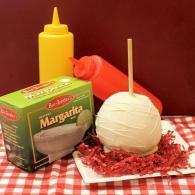 Our gourmet dipped apples are known to bring a smile to anyone's face! 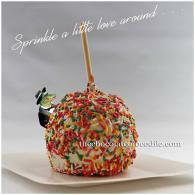 Dipped and smothered in homemade caramel, rich chocolate and/or fresh toppings, these plump and juicy apples make a special treat just for you or someone special. 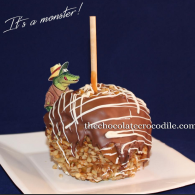 From our baby apples to our 'Monster Apples', you just have to try them all to find your favorite! Perfect for any occasion or just because, visit our three locations to sample or order your favorites through our store! 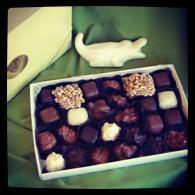 Celebrate a special occasion or show someone your appreciation with a box of chocolates! 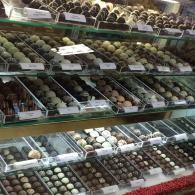 Pick and choose from your favorite caramel turtles, bonbons, truffles and other delectable sweets you are sure to love. 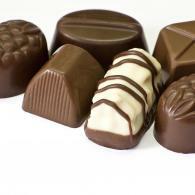 And don't limit yourself to one chocolate variety---we also offer our treats in white and dark chocolate! 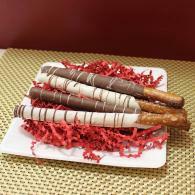 Browse through our gallery of savory chocolate-covered pretzels! 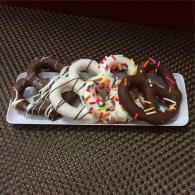 Enjoy a traditional pretzel glazed in your favorite chocolate type topped with sprinkles or try a chocolate-covered pretzel stick! There are few people in the world who can say they can resist indulging in a delectable piece of fudge. 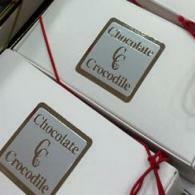 And here at The Chocolate Crocodile®, you'll find every variety of fudge to satisfy your taste buds and then some. 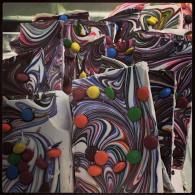 From peanut butter to white chocolate and classic fudge, we create the perfect blends that we know you'll enjoy. 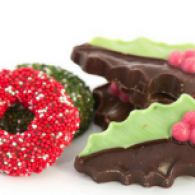 What better gift to present a special someone this holiday season than with festive sweets and treats! 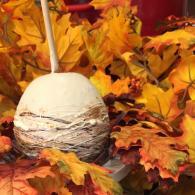 Preview through our gallery to see delightful holiday-themed gift baskets and more!